The red grape variety comes from France. Synonyms are Bordelais Noir, Madiran, Madison, Mouston, Moustron, Moustrou, Moustroun, Tanat, Tannat Gris, Tannat Noir, Tannat Noir Male ( France ); Bordelez Beltza ( Spain ); Harriague ( Uruguay ). It was first mentioned in 1783 under the name Tanat in probably the origin region of Hautes-Pyrénées. 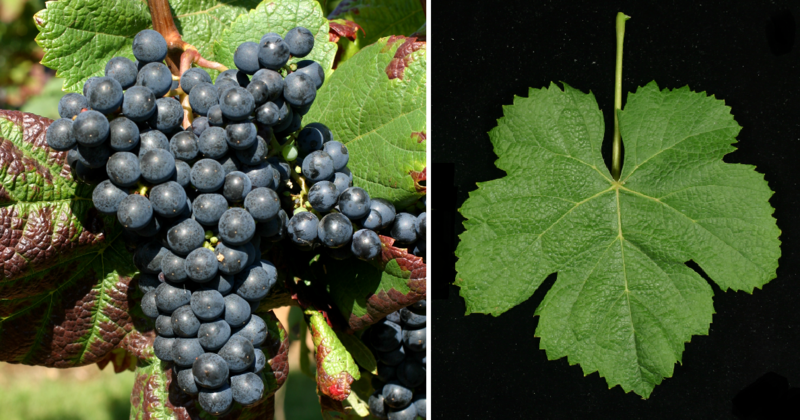 According to 2009 were made DNA analysis there may be one Parent-offspring relationship with the variety Manseng Noir, as well as relationships with the varieties Baroque. Courbu Blanc. Lauzet and Petit Courbu, Tannat was crossing partner in the four new breeds Achemoyeta. Arinarnoa. Artzebat and Ekigaïna, There is also a light-beige variety called Tannat Gris . The medium-maturing vine is prone to mites and Botrytis, It produces a dark, spicy and tannin Red wine with raspberry flavor. Dry analyzes produced extremely high amounts resveratrol and cyanidin, which have antioxidant and anti-inflammatory and thus health-promoting properties. Since the publication of research results by Roger Corder in the scientific journal "Nature" Tannat is considered " healthiest Red wine at all ". The strong astringent Taste is through gifts of Cabernet Sauvignon. Cabernet Franc and Fer as well as long bottle aging mitigated. Around 1870 the sort of French emigrants in South America introduced where they are after the settler Pascual Harriague (1819-1894) is also called Harriague. There are more acreages overseas in Canada. Argentina (705 ha), Australia. Brazil (295 ha), Bolivia. Japan. Peru. South Africa (67 ha) and Uruguay (1,815 ha), as well as in the US states Georgia. Illinois. California and Virginia, The variety occupied in 2010 a total of 5,940 hectares of vineyards. It is thus worldwide varieties ranking on rank 104. This page was last modified at 18 December 2018 at 11:07.